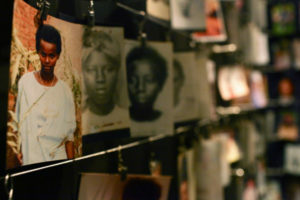 The Kigali Genocide Memorial was opened on the 10th Anniversary of the Rwandan Genocide, in April 2004. The Memorial is built on a site where over 250,000 people are buried. These graves are a clear reminder of the cost of ignorance. It is a permanent memorial to those who fell victim to the genocide and serves as a place for people to grieve those they lost which includes three permanent exhibitions, the largest of which documents the genocide in 1994. There is also a children’s memorial, and an exhibition on the history of genocidal violence around the world. The Education Centre, Memorial Gardens and National Documentation Centre of the Genocide all contribute to a meaningful tribute to those who perished, and form a powerful educational tool for the next generation.